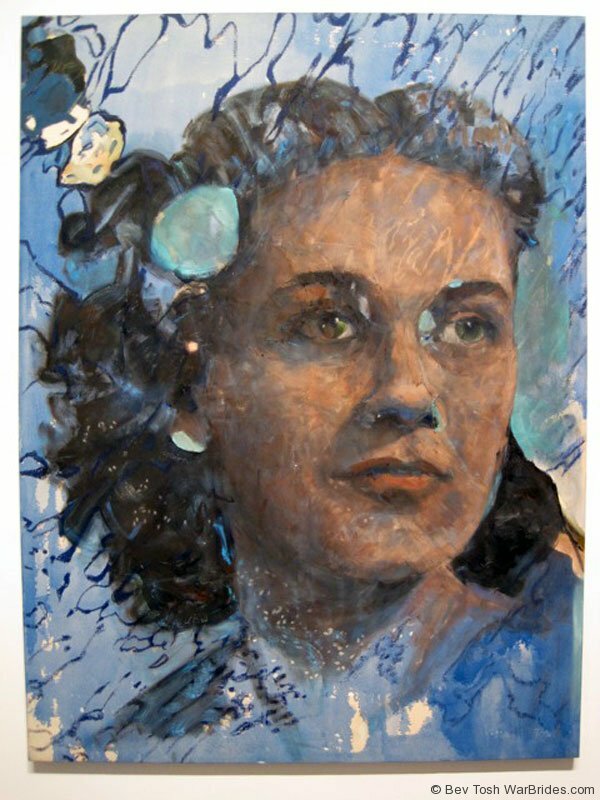 Bev Tosh, a Canadian artist, painted One-Way Passage, a monumental portrait of her mother Dorothy as a young war bride who emigrated from her native Canada to New Zealand. The portrait includes the names of ships on which many war brides had travelled. 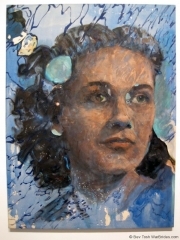 This painting was the direct catalyst for her continuing research on war brides. 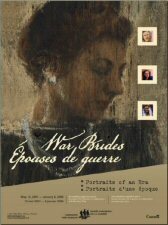 These “war brides” are women she has met and corresponded with in Canada and the United States, Britain, Holland, New Zealand and Australia. Each war bride has recounted her story to the artist – a personal story about love and family, adaptation, endurance and identity. Their stories, of finding and sometimes losing love, represent the leap of faith taken by thousands in order to build lives far from home. The result can be seen in War Brides: One-Way Passage, a fascinating exhibition which interweaves personal, social, historical and artistic elements. All the art is based directly on primary sources including hundreds of personal interviews, photographs, letters, personal memorabilia and period artifacts. While the experiences of women are often overshadowed in the historical record, Bev Tosh shines a spotlight on ordinary women in extraordinary times.